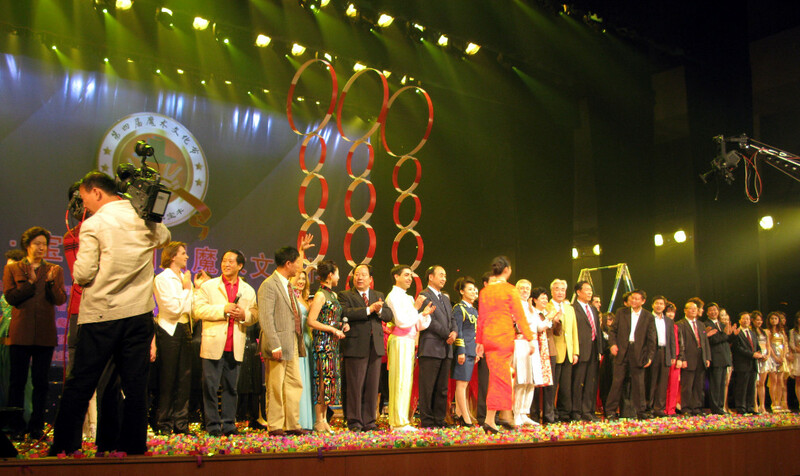 4th Session of Magic Cultural Festival in Baofeng & Pingdingshan – October 8 – 16, 2008. This Festival is organized by the Chinese Acrobat Association (C.A.A.) and Mr. Lin, with the international participation of Hank Moorehouse and Domenico Dante from the FISM (International Federation of Magic Societies) plus local officials. (Note: The C.A.A. 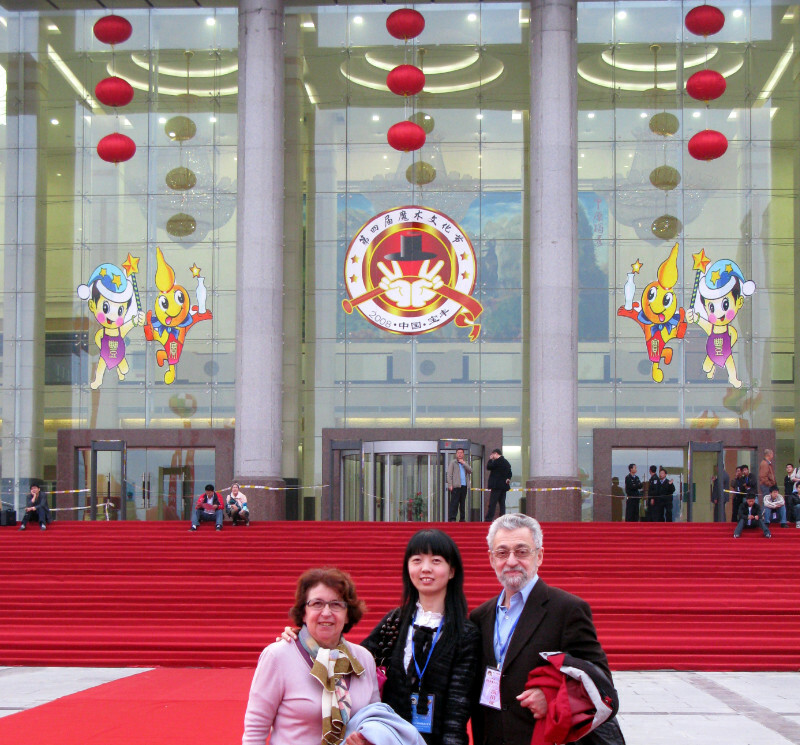 will organize the World FISM Magic Convention in Beijing, in July 2009.) The shows are presented in two different theaters, with spectacular outdoor decorations, including a red carpet in front and up the stairs of the main entrance. In some of the shows, Chinese artists (some magicians but mainly acrobats, singers and dancers) appear with the foreign magicians. Some of the acrobats are of world class level. The magicians are: Double Fantasy (Ukraine), Jorgos (Germany / Greece), Omar Pasha (France), Red Hat (South Korea), David Sousa (Portugal). Those we did not know before become also good friends. This city is really in “deepest, darkest” China, over an hour from Beijing by plane. NOBODY speaks anything but Chinese. Our only outside contact is through our interpreter, Alice. She speaks excellent English and we become fast friends. She is our link everywhere: during the rehearsals, for a long press conference, with all sorts of people in town. The region is rich with raw materials and the activities are mainly industrial and agricultural. They are about 500,000 inhabitants. A new city development is planned. Our hotel (the best in town) is in the new area, in the middle of nowhere, surrounded by 4 lanes empty avenues and by corn fields. Some corn is spread out on the asphalt to dry. In town, the traffic seems fluid at all times, however drivers mostly drive on the center lane. When other vehicles want to overtake, they just drive in the opposite lane, zigzagging between the vehicles in oncoming traffic. Cool.